A Wednesday (April 18) evening traffic stop on Interstate 12 uncovered more than 10 pounds of suspected cocaine. 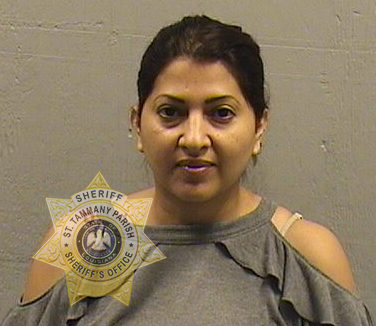 A member of the St. Tammany Parish Sheriff’s Highway Enforcement Unit conducted a routine traffic stop shortly before 4:30 p.m. Wednesday (April 18) on an eastbound black Nissan Sentra with a Texas license plate after observing the vehicle commit a traffic violation. The driver of the vehicle, Rosa Siller (DOB 3/10/1975; 2001 South Bridge Ave., Weslaco, Texas) told the deputy she was en route to Florida to pick up her grandparents and planned to bring them back to Texas with her, but a consensual search of the vehicle uncovered 10.4 pounds of suspected cocaine packaged and hidden inside the vehicle. The Highway Enforcement Unit concentrates on traffic enforcement and intercepting traveling criminals primarily on the interstate systems in St. Tammany Parish. Sheriff Randy Smith praised the Highway Enforcement Unit for its constant proactive enforcement on the interstate system that travels through our community. 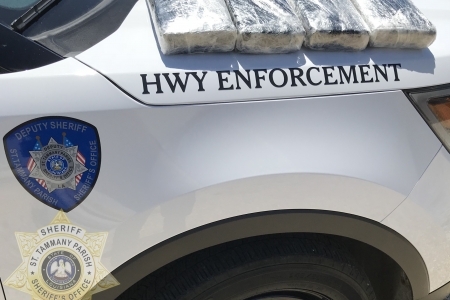 “Our Highway Enforcement Unit has been very successful in making many proactive arrests and reducing the availability of dangerous drugs being dispersed in and traveling through St. Tammany Parish," Sheriff Smith said.